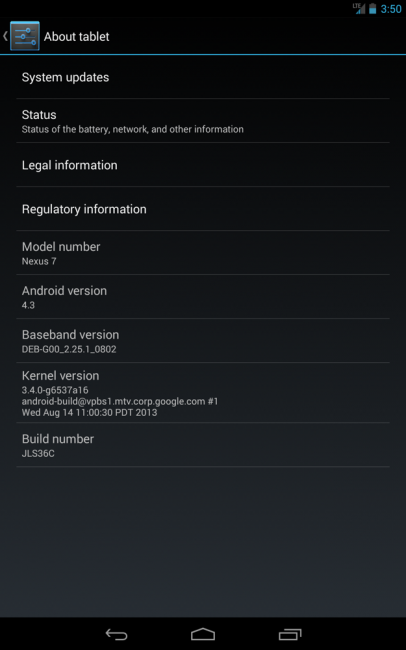 Moments ago, Google posted the Android 4.3 (JLS36C) factory images and binaries for the new Nexus 7 with LTE. If you own the LTE variant, feel free to grab them at the links below. 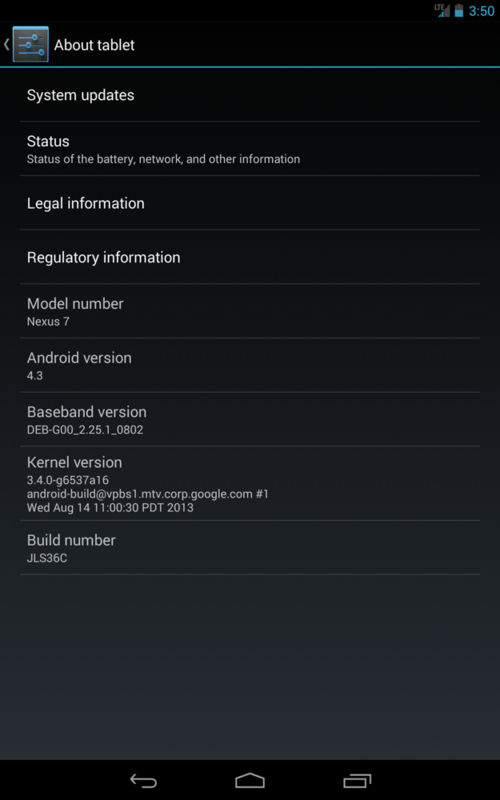 Our N7 LTE received the update to JLS36C this morning.